Natural blister pearls -- Here are a few photos of these occurrences of nature. 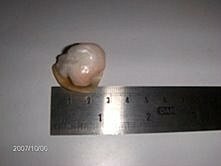 Here's a very large natural pearl from the giant clam, Tridacna Gigas....only this clam could ever grow a pearl this huge! 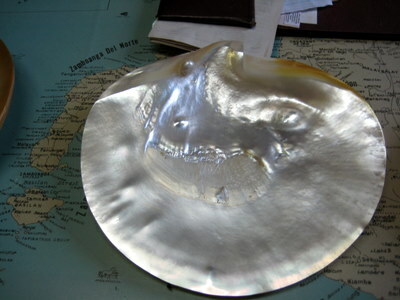 The Pearl of Elias, having grown at the hinge of the clam, is undoubtedly one of the largest pearls in the world. Up until now, it has been virtually unknown and only has been recently named. 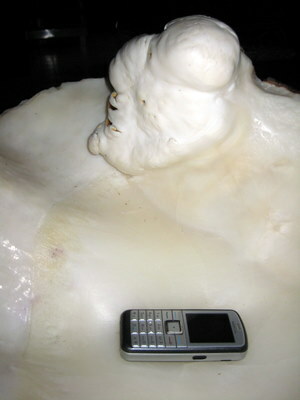 This large pearl below, which is partly fossilized, is also from the giant clam and still attached to the shell. Boy, these clams must enjoy making pearls! Since the large clams never leave their resting place or move, maybe that makes them more prone to grow pearls. You may comment on the Diogelorcas pearl here. It is for sale (contact me if interested in purchasing this pearl and shell). It would make a tremendous one-of-a-kind museum piece. 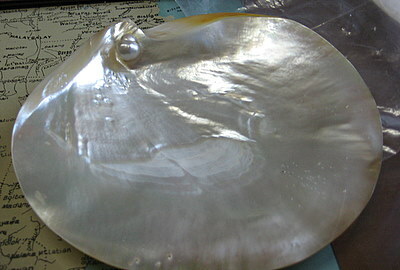 For you information, the famous Pearl of Allah is also from this type of clam. 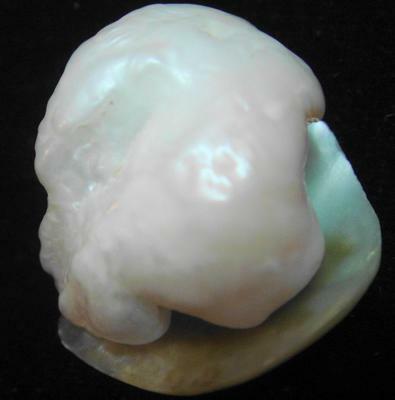 This natural blister pearl is a freshwater pearl found in India. You may comment on this pearl here. This pearl has been certified as a naturally occurring blister pearl. The next three are natural South Sea blister pearls. 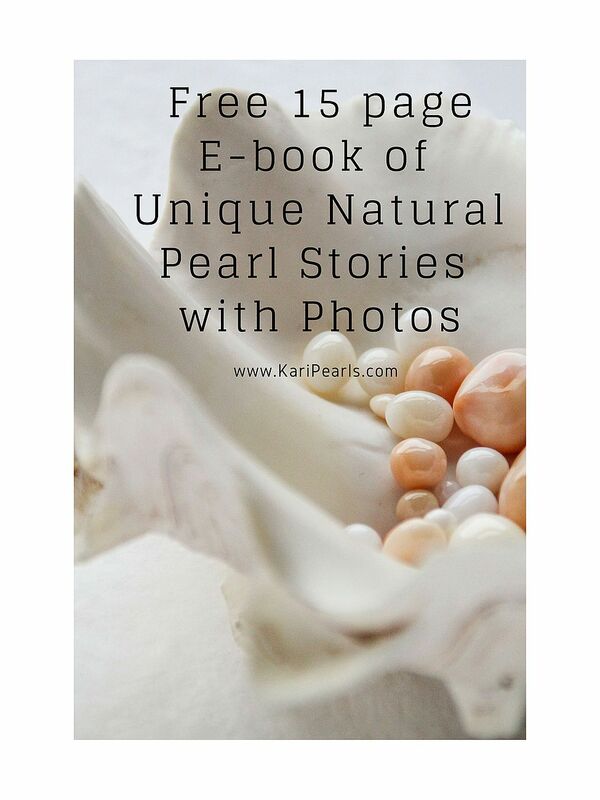 You may create your own free page or pages on my site by sharing a photo and your story of finding a natural pearl or pearls. 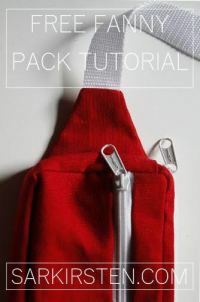 Create as many pages as you like. 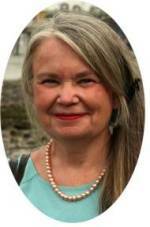 There is a fast growing interest in natural pearls and I think this interest will only increase. 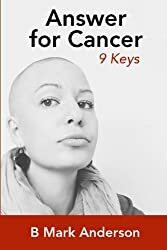 As cultured pearls become more and more affordable and available, the focus will shift to God's sovereign made natural pearls and they will become highly sought after once again. Read more about Pearl of Elias, one of these large natural blister pearls. 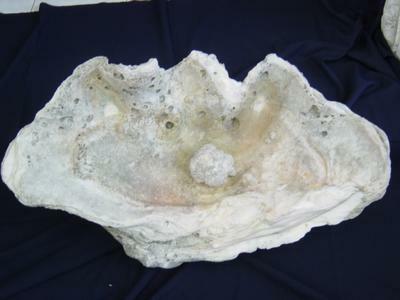 Fossilized Giant Clam Tridacna Gigantea Shell 612Ibs!